Styled by Pininfarina under the direction of Ferrari's Ken Okuyama, the 599 GTB debuted at the Geneva Motor Show in February 2006. The bodywork features optimized aerodynamics with distinct sail panels flanking the rear window, directing and maximizing air flow to a linear rear nolder. The 599 is named for its total engine displacement 5,999 cc (6.0 L), Gran Turismo Berlinetta nature, and the Fiorano Circuit test track used by Ferrari. 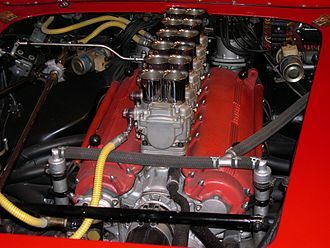 The 6.0 L (5,999 cc) Tipo F140 C V12 engine utilised in the 599 produces a maximum power output of 620 PS (456 kW; 612 hp) between 7,600 rpm to 8,400 rpm, making it the most powerful series production Ferrari road car at the time. At the time of its introduction, this was one of the few engines whose output exceeded 100 hp (75 kW) per litre of displacement without any kind of forced-induction mechanism such as supercharging or turbocharging. Its 608 N⋅m (448 lb⋅ft) of torque produced at 5,600 rpm was also a record for Ferrari's GT cars. 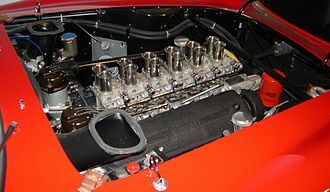 Most of the modifications to the engine were done to allow it to fit in the 599's engine bay (the original version used in the Ferrari Enzo would be taller as it would block forward vision due to its mid-mounted position construction). 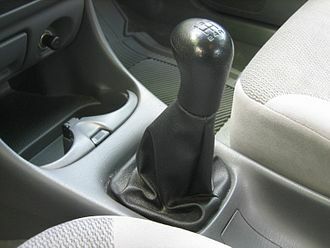 A traditional 6-speed manual transmission as well as Ferrari's 6-speed semi-automatic paddle-shift transmission called "F1 SuperFast" was offered which had a shift time of just 100 milliseconds. The 599 also saw the debut of Ferrari's new traction control system, F1-Trac. The vast majority of the 599 GTB's were equipped with the semi-automatic gearbox as opposed to the 6-speed manual gearbox. Only 30 examples were produced with a manual gearbox of which 20 were destined to the United States and 10 remained in Europe leading Ferrari to abandon the use of the manual transmission in its future GT cars. The 599 saw the use of an aluminium chassis for the first time in a Ferrari GT car, as opposed to the tubular steel chassis used in its predecessors. The new chassis results in more rigidity and contributes to the low dry weight of 1,690 kg (3,726 lb) as compared to its predecessor, the 575M. The 599 boasts a longer wheelbase than it's predecessor and the fuel tank is positioned at the rear in a mid mounted position for better weight distribution. Due to such measures, the 599 has a claimed power to weight ratio of 367 PS per tonne. The 599 utilises an underbody spoiler and venturi tunnels that contribute to downforce. The arched C-pillars in a 'flying buttress' style also aid further in downforce by channeling the air around the rear section thus eliminating the need of a rear wing. Due to this fact, the 599 generates a claimed 160 kg (353 lb) of downforce at 299 km/h (186 mph). The car also has functional brake cooling ducts on the front and rear body panels for improved brake cooling. The 599 utilises magnetorheological semi-active dampers along with its suspension coils. The dampers function by a liquid within the damper reservoir which when subject to magnetic field within the liquid chamber, changes its viscosity. The function of the liquid along with the reaction and stability control are controlled through a knob on the steering wheel. 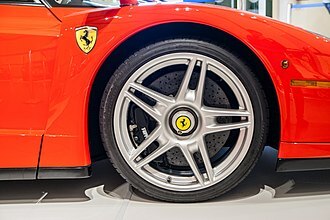 The 599 came with cast iron brakes as standard while the carbon-ceramic brakes (a technology that was scarcely utilised in road cars at the time) were available as an option. The rotors measured 398 mm (15.7 in) at the front and 360 mm (14 in) at the rear. The 599 came with a luxurious leather trimmed interior. The driver's seat was positioned slightly towards the centre in order to provide a better driving position. The instrument cluster was a combination of analogue gauges and screens. The foot paddles could either be optioned in aluminium or in carbon fibre and were affixed to the steering column. The three spoke steering wheel housed controls for the car's electronic systems as well as a starter button. The interior has a glove box, storage space in the door panels and combination of simple dials and buttons for operating the stereo, climate control and air conditioning. The car has a rear shelf and a boot-lid providing adequate boot space. The Ferrari 599 GTB Fiorano HGTE (HGTE being an abbreviation of Handling Gran Turismo Evoluzione) is an upgrade package for the 599 designed to improve the car's handling. It includes a modified set-up with stiffer springs and rear anti-roll bar as well as new calibration settings for the Delphi MagneRide magneto-rheological shock absorbers when the manettino is at its sportier settings. The ride height has also been lowered, resulting in a low centre of gravity. The package also includes optimised tyres featuring a compound that offers improved grip. 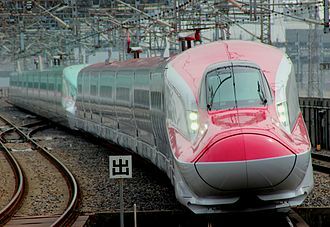 The car's electronic systems were also changed. 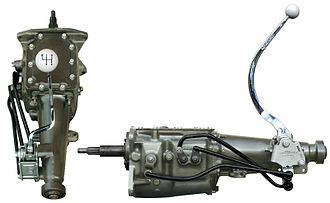 The gearbox's shift times were faster in high-performance settings, while new engine software provided improved response. The exhaust was modified to produce a more marked and thrilling sound under hard usage while still delivering the right comfort levels at cruising speed. 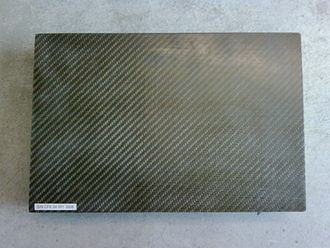 The exterior and interior were upgraded with more carbon fibre components and the car also included new 20-inch wheels. On 8 April 2010, Ferrari announced official details of the 599 GTO. The car was a road-legal version of the 599XX track day car and at the time Ferrari claimed that the 599 GTO was their fastest ever road car, able to lap the Fiorano test circuit in 1 minute 24 seconds, one second faster than the Ferrari Enzo Ferrari. Its engine generated a power output of 670 PS (493 kW; 661 hp) at 8,250 rpm and 620 N⋅m (457 lb⋅ft) of torque at 6,500 rpm. The car has the multiple shift program for the gearbox from the 599XX along with the exhaust system. Ferrari claimed that the 599 GTO could accelerate from 0–100 km/h (0–62 mph) in under 3.3 seconds and has a top speed of over 335 km/h (208 mph). At 1,605 kg (3,538 lb), the 599 GTO weighs almost 100 kg (220 lb) less than the standard GTB. Production was limited to 599 cars. Of these, approximately 125 were produced for the United States market. 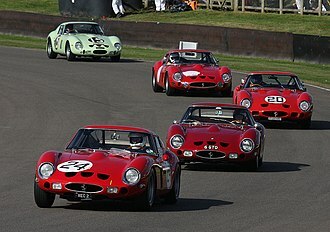 Ferrari has produced only two other models that used the GTO designation: the 1962 250 GTO and the 1984 288 GTO with the third being the 599 GTO. Unlike the previous GTOs however, the 599 GTO was not designed for homologation in any racing series. At the 2009 Geneva Motor Show, Ferrari unveiled the track only iteration of the 599 GTB, dubbed the 599XX. Designed by Ferrari's Formula-one engineers, the car has many changes over the standard car in order to make it more nimble and responsive on a race track. Exterior enhancements included two winglets on the C-pillars for improved downforce, a vented bonnet for improved engine cooling, darkened lexan tail lamps, a carbon fibre 'ducktail' rear spoiler aiding further in downforce, a large rear diffuser for improved under body airflow, tow hooks at the front and rear, additional ducts for improved cooling, a minimalist race interior with racing bucket seats along with an LCD display behind the steering wheel replacing all analogue gauges equipped with a roll-cage and lexan sliding windows. The car also has two fans that were located in the trunk and worked to keep the car on the ground and stopped working at speeds up to 249 km/h (155 mph), a speed at which the car needed no additional downforce. With all such components, the car was reported to generate 280 kg (617 lb) of downforce at 200 km/h (124 mph) and 630 kg (1,389 lb) of downforce at 299 km/h (186 mph). The air conditioning system was retained for added driver comfort. 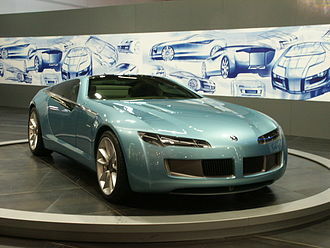 The car had nine traction and stability control modes, all controlled from the "manettino" knob on the steering wheel. The car was equipped with F1 inspired carbon ceramic brakes with crossed drilled rotors and a new race exhaust system. The rev limiter was raised to 9,000 rpm, with the engine rated at 730 PS (537 kW; 720 hp) at 9,000 rpm. Weight was reduced by reducing the weight of the engine components such as a new carbon fibre intake manifold and graphite coated pistons along with a lightweight crankshaft, as well as through the use of composite materials and the use of carbon fibre body parts. 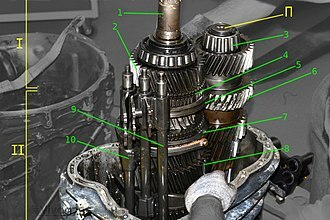 A new gearbox was introduced to cut overall gear change time to 60 milliseconds, holding the upward or downward shift paddle for longer resulted in multiple shifts that improved gearing time. The car also included 29/67 R19 front and 31/71 R19 rear racing slicks with 19 × 11J wheels at the front and 19 × 12J at the rear. The 599XX was capable of accelerating from 0–100 km/h (0–62 mph) in 2.9 seconds and attained a top speed of 315 km/h (196 mph) (redline limited top speed). 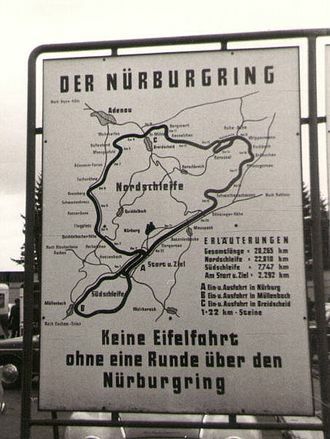 At the 2010 Beijing International Auto Show, Ferrari announced that the 599XX had completed the Nordschleife circuit at the Nürburgring in a time of 6 minutes and 58.16 seconds - the fastest time ever recorded for a production-derived sports car. 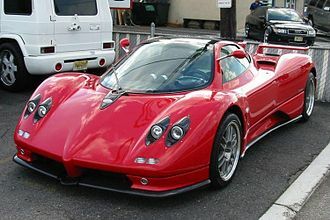 This lap was later beaten by the Pagani Zonda R in June 2010, which had set a lap time of 6 minutes and 47.50 seconds. On November 10, 2011, the first images of the 599XX Evoluzione surfaced, which had a radically restyled aero and exhaust package as well as electronic upgrades and Pirelli racing slicks. On 1 December 2011, Ferrari confirmed details for the 599XX "with evolution package" in preparation for the 2011 Bologna Motor Show. The car with the Evolution package weighed 35 kg (77 lb) less than the standard 599XX and the engine had slightly improved peak power of 740 PS (544 kW; 730 hp) and 700 N⋅m (516 lb⋅ft) of torque. One of the key features of the Evoluzione is its active rear wing which can adjust automatically to provide increased cornering performance. The roadster variant of the 599, the SA Aperta, was introduced at the 2010 Paris Motor Show as a limited edition in honour of designers Sergio Pininfarina and Andrea Pininfarina, with the "SA" designation standing for both their names. The SA Aperta utilised the higher performance engine and gearbox from the 599 GTO and has a 10 mm (0.4 in) lower ride height, thicker rear anti roll bar and recalibrated magnetic dampers. The SA Aperta also has a slightly raked windscreen as compared to the 599 GTB along with larger cooling ducts in the new front bumper and a rear bumper in body colour. 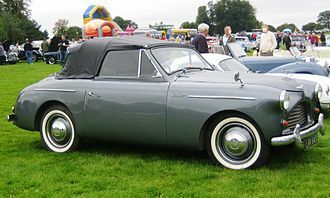 The car has a removable soft top that was only intended for use in city driving and to protect the interior from rain. The boot-lid was made of aluminium while the C-pillars were made of carbon fibre and have a silver finish along with the windshield frame. The exhaust system was a modified version of the one used in the 599XX and the car has special 5-spoke wheels unique to the variant with a chromed finish along with a triple layer body paint. The interior was also redesigned and has a two tone colour scheme and the car has sports seats as standard equipment. Only 80 examples were produced, honoring the 80th anniversary of Pininfarina and all were sold before the car was unveiled to the public. Another version of the 150° Italia but without the white a-pillars. The interior in the European version of the car has Sabelt bucket seats whereas the US version featured Recaro bucket seats, both being made from Alcantara. Ferrari P540 Superfast Aperta at the 2016 Ferrari Finali Mondiali in Daytona, Florida. The Ferrari P540 Superfast Aperta is a one-off convertible sports car based on the Ferrari 599 GTB Fiorano. This car represents the second car in Ferrari's Special Project program. 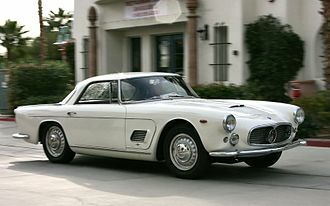 Edward Walson commissioned the car in 2008, asking Ferrari to build a modern interpretation of the gold covered Carrozzeria Fantuzzi-bodied Ferrari 330 LMB built for the 1968 film Spirits of the Dead. The P540 was revealed to the public on December 11, 2009, but had been spotted in spy shots several months previous to this. Designed by Pininfarina and built in Maranello, this car was designed to comply with international safety and homologation requirements. Using finite element analysis and carbon fibre, the car's chassis was stiffened for the conversion to a convertible body style. As it is based on the 599 GTB F1, many of the specifications of the P540 are similar to its donor car. Total time of development was 14 months. Ferrari Superamerica 45 at Villa d'Este in 2011. The Ferrari Superamerica 45 is a one-off with a rotating targa hardtop based on the 599 GTB, that was commissioned to Ferrari by longtime Ferrari enthusiast and collector Peter Kalikow to commemorate his 45 years as a Ferrari client. 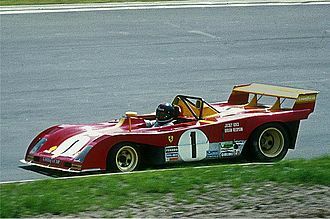 Part of Ferrari's Special Project programme, it was designed at Centro Stile Ferrari and engineered in-house by Ferrari. The car made its public debut at Concorso d'Eleganza Villa d'Este on 20 May 2011. The carbon fibre hardtop roof incorporates a rear screen and rotates around a horizontal axis behind the cabin, a mechanism similar to that of the Ferrari 575 Superamerica. The boot, also made from carbon fibre, has been redesigned to house the roof when open and to increase downforce at the rear of the car. As well as being finished in Blu Antille, other key visual features include a chromed front grille, body coloured wheels, carbon fibre panels and special burnished aluminum A-pillars, wing mirrors and door handles. The interior features a combination of Cuoio leather trim and Blu Scuro carbon fibre as well as a latest-generation touch-screen infotainment system. The SP30 is a one-off based on the 599 GTO and completed in 2013. Its the fifth project completed by Ferrari's special projects division and it includes elements from the 599xx and the F12 which was released a few months earlier. It was commissioned by Cheerag Arya, the owner of a petrochemical company. Motor Authority reported that Ferrari president Luca Cordero di Montezemolo was working on the development of a Ferrari model that would use alternative energy sources and which would be based on what Ferrari is doing in Formula 1, which uses Kinetic Energy Recovery System. The KERS was tested using a 599 as a test mule. The model was later revealed to be the LaFerrari. Evo magazine named the 599 GTB as the Car of the Year for 2006. Top Gear Magazine also named the 599 GTB as the Supercar of the Year 2006. The replacement for the 599 was announced on 29 February 2012, a few days prior to the Geneva Motor Show. Ferrari released a video featuring Fernando Alonso and Felipe Massa driving the car at Ferrari's own test track, the Pista di Fiorano. The car, named the F12berlinetta, was officially unveiled at the Geneva Motor Show on March 6, 2012. A twin-supercharged Ferrari 599 GTB Fiorano drift car made its competition debut at Formula D Long Beach 2018, driven by Italian drifter Federico Sceriffo, but was unable to finish the event after a severed fuel line caused the car to catch on fire. Federico and his drifting team, FFF Drifting Department, were able to repair the car and drove it for the first time since the crash at Formula D Orlando 2018. The car is currently competing in the US Formula Drift 2019 series. The car itself has had its 6.0-litre V12 engine modified with twin Rotrex superchargers with supporting modifications and now reportedly produces 917 PS (674 kW; 904 hp) and 856 lb⋅ft (1,161 N⋅m) of torque. It has also been modified with a body kit, a new six-speed sequential gearbox, a carbon clutch, Öhlins suspension, 20 inch OZ wheels and a Sparco ‘Drifting Pro’ seat, and has also been lightened to now weigh around 1,400 kg (3,086 lbs), almost 400 kg less than the 1,793 kg (3,953 lbs) kerb weight of a standard 599 GTB. ^ "2006 Ferrari 599 GTB Fiorano". Supercars.net. Retrieved 2007-11-20. ^ "Car and Driver 2007 Ferrari 599 GTB Fiorano road test" (PDF). ^ "Car and Driver 2011 Ferrari 599 HGTE vs. 2012 Lexus LFA Comparison Test" (PDF). ^ "Car and Driver 2011 Ferrari 599GTO First Drive Review". 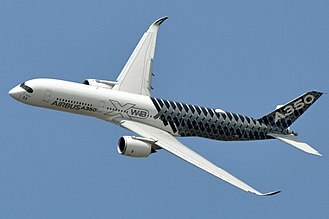 ^ "CARBON FIBER AERODYNAMIC FINS" (PDF). Ferrari.com. The aerodynamic fins are the side view's most distinguishing characteristic and technically speaking, their contribution is vital for achieving the aerodynamic load goals required at high speed since they channel and maximize the air flow towards the nolder. ^ Isotropic, Ed (2006-12-27). "Sneak Peek: Ferrari 599 GTB". Consumerism. Archived from the original on 2011-07-02. Retrieved 2011-04-09. ^ "2007 Ferrari 599 GTB HGTE". RM Sotheby's. ^ "2007 Ferrari 599 GTB with manual gearbox auctioned for $682,000". 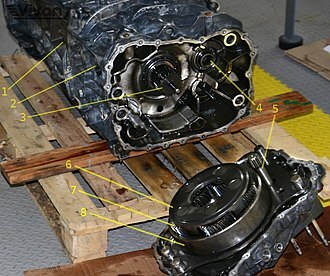 Motor1.com. ^ a b c d Saunders, Matt; Prior, Matt. "Ferrari 599 2006-2012 review". 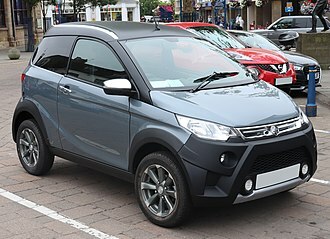 autocar. Retrieved 25 May 2018. ^ "Technical specifications". ferrariworld.com. Retrieved 2008-02-08. ^ a b Joseph, Noah (2009-03-03). "Geneva 2009: Ferrari 599XX is our kind of menace to society". Autoblog.com. Retrieved 2009-04-18. ^ "Ferrari 599 GTO: official details". AUSmotive.com. 2010-04-08. Retrieved 2010-09-27. ^ a b "08.04.2010 NEW MODEL: FERRARI 599 GTO". www.italiaspeed.com/2010/cars. Retrieved 2010-04-09. ^ Taylor, Michael (June 21, 2010). "Almost Heaven: Is Ferrari's GTO the Best Ever?". AutoWeek. 60 (12): 20. ^ Monticello, Mike (August 2010). "2011 Ferrari 599 GTO". Road & Track. 61 (12): 62. ^ Phillips, John (March 2010). "Ferrari 599XX". Car and Driver. Retrieved 24 May 2018. ^ "Record of the Ferrari 599XX at the Nürburgring announced in Beijing". Ferrari.com. ^ "Bologna 2011: Ferrari 599XX evolution package". AUSmotive.com. Retrieved 2011-12-01. ^ "Ferrari unveils 599 SA APERTA". Auto Express. 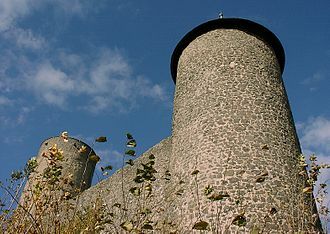 24 September 2010. Retrieved 21 October 2013. ^ "This incredibly rare, 661bhp Ferrari SA Aperta is up for sale". www.topgear.com. Retrieved 2018-03-21. ^ "Ferrari 599 SA Aperta at Sybarites". 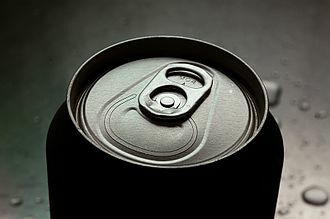 Sybarites.org. Retrieved 2010-09-27. ^ Pollard, Tim (8 December 2011). "Ferrari 599 GTB 60F1 (2011) first official pictures". Car Magazine. Retrieved 21 May 2012. ^ "Ferrari launches 599 GTB'60F1' - BBC Top Gear". topgear.com. Retrieved 2011-12-09. ^ McEachern, Sam (9 May 2014). "Spotted: One-off Ferrari P540 Superfast Aperta in Scottsdale, Arizona". GTspirit. Retrieved 9 May 2014. ^ "Pininfarina 'Golden Ferrari' one-off revealed?". autoblog.com. Retrieved 12 December 2009. ^ a b Strong, Dan (19 May 2011). 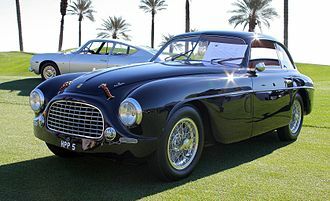 "Ferrari Superamerica 45". AutoExpress. Retrieved 23 May 2012. ^ "Ferrari SP Arya one-off in the works - Car Body Design". 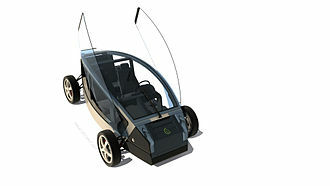 www.carbodydesign.com. Retrieved 2018-05-14. ^ "Ferrari confirms 599 hybrid prototype in testing". Motorauthority.com. Retrieved 2009-04-18. ^ "evo Car of the Year 2006 Ferrari 599 GTB Fiorano". Evo. Retrieved 29 October 2013. ^ "29 February 2012 - The most powerful Ferrari ever is about to take shape". ferrari.com. Retrieved 2012-02-21. ^ "2013 Ferrari F12 Berlinetta First Look - Motor Trend". Motor Trend. ^ "900-HP Ferrari 599 Catches Fire In Formula Drift Debut". CarBuzz. Retrieved 2018-05-14. ^ "The burned 900bhp+ Ferrari drift car will drift again!". www.topgear.com. Retrieved 2018-05-14. ^ "Holy smoke, it's a 917bhp Ferrari drift car". www.topgear.com. Retrieved 2018-05-14. "Maranello Masterpiece". AutoWeek. Retrieved January 9, 2006. "Maranello's New True GT". AutoWeek. Retrieved January 17, 2006. "Winner: Supercar". Top Gear. Archived from the original on September 5, 2010. "Record of the Ferrari 599XX at the Nürburgring announced in Beijing". Ferrari. "So how is Ferrari going to replace the 599?". Top Gear. Retrieved June 4, 2011. 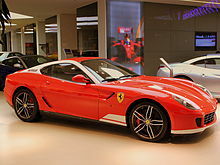 Wikimedia Commons has media related to Ferrari 599 GTB. The Fiorano Circuit is a private racetrack owned by Ferrari for development and testing purposes. It is located in Fiorano Modenese, near the Italian town of Maranello, built in 1972, it was originally 8.4 metres wide and 3000 metres long. 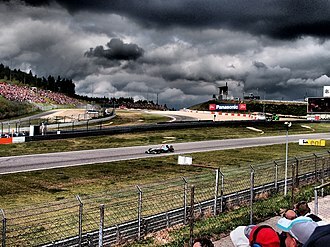 In 1992, a chicane was added making it 3021 metres long, the average F1 lap speed is over 160 km/h and the F1 top speed is 290 km/h. As Fiorano is a track, it has a wide range of corner types. 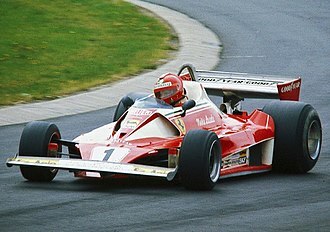 Thus Ferrari is able to corner and track types of other Grand Prix circuits. 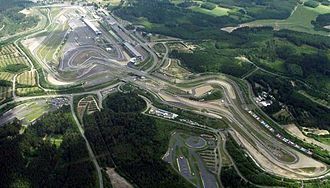 The track is equipped with sensors and a large skidpad for tyre testing. In 2001 an irrigation system using rain collected in eight cisterns was installed to simulate wet track conditions. When Scuderia Ferrari are testing a F1 car at the track, it is common to see Tifosi watching the test from the roadside, Ferrari customers are allowed to test drive new cars at the Fiorano circuit. The Ferrari 599 GTB Fiorano is named after this track, legend has it that this was actually the real reason that the old man had the circuit built, so he could enjoy his cars and his drivers without the presence of other F1 cars or the press.